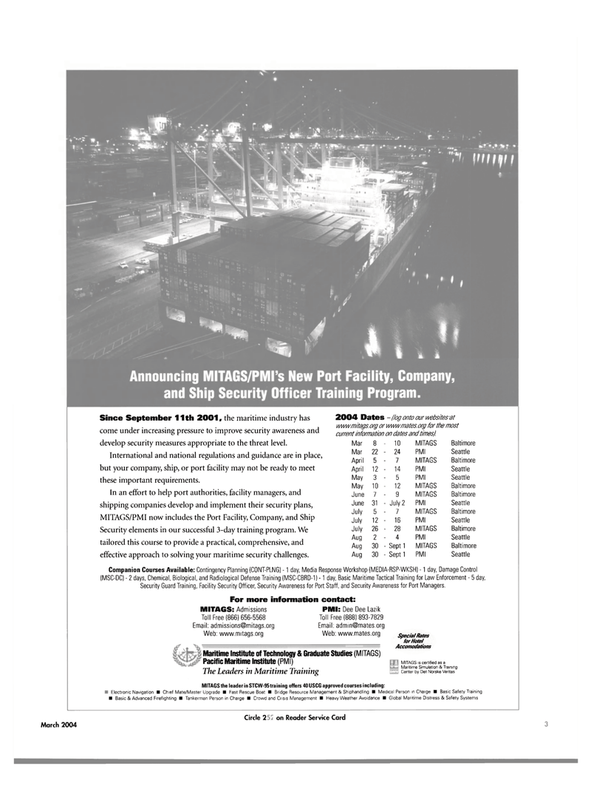 Since September 11th 2001, the maritime industry has 2004 Dates - (log onto our websites at ... . . , www.mitags.org or www.mates.org for the most come under increasing pressure to improve security awareness and current information on dates and times). develop security measures appropriate to the threat level. International and national regulations and guidance are in place, but your company, ship, or port facility may not be ready to meet these important requirements. Security elements in our successful 3-day training program. We tailored this course to provide a practical, comprehensive, and effective approach to solving your maritime security challenges. Security Guard Training, Facility Security Officer, Security Awareness for Port Staff, and Security Awareness for Port Managers.